Amit is a Agile Trainer and Agile thought leader with extensive experience in training, coaching and implementing Agile frameworks such as Scrum, Lean and DSDM for large organizations. He has trained numerous teams, arming them with the skills needed to apply classroom theory to operational success at the team and project level. Amit now is a Director for Effective PMC Pvt Ltd (www.effectivepmc.com) which is a Coaching and Education organization based in Mumbai. Amit Coaches on various methodologies such as PMI-ACP, Scrum in a non-certified context, Prince2 and PMP. 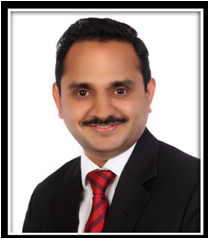 Amit also provides consulting on Agile, Lean, Six Sigma to his customers.